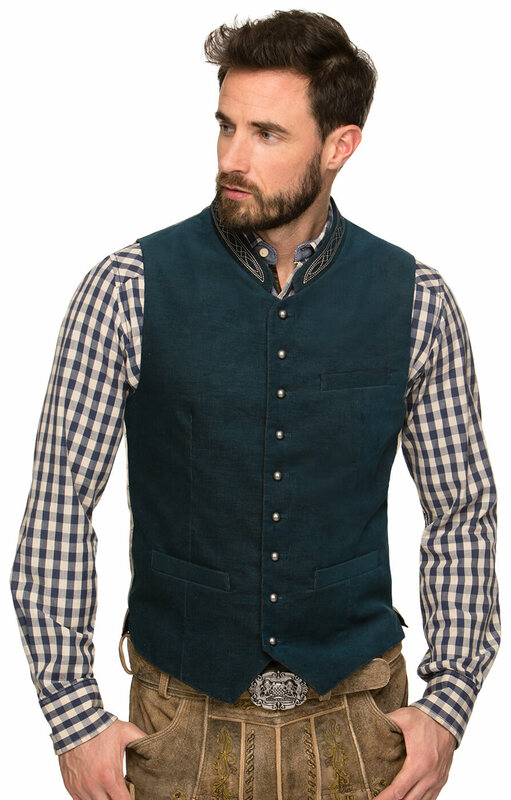 Iserio men’s blue waistcoat. 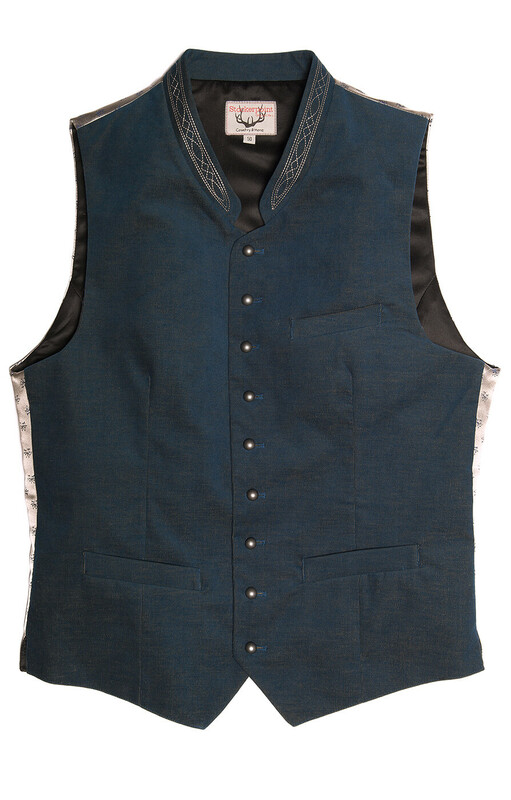 Any occasion will be given a touch of class with this bold blue waistcoat with its traditional Bavarian cut and high embroidered collar. 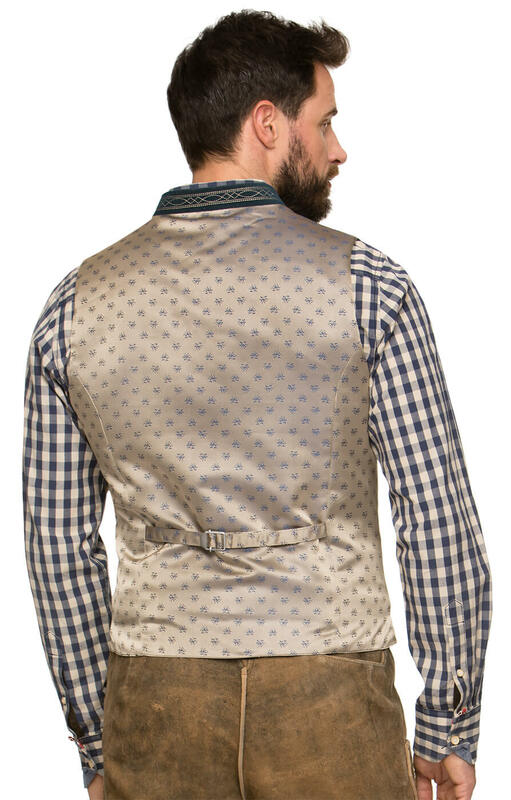 The waistcoat boasts features such round metal buttons running down the front and a bronze-coloured back panel adorned with a subtle print of blue flowers. It comes complete with an adjustable buckle to ensure the perfect fit. 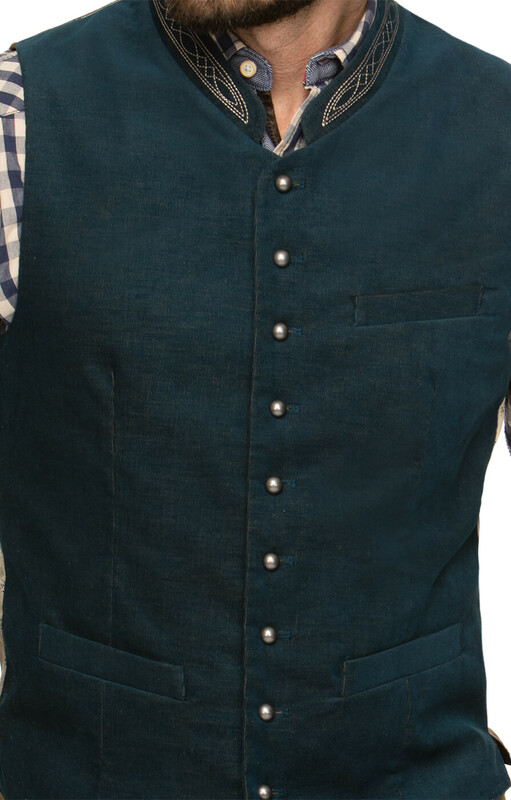 Sehr edles, gut gearbeitetes Gilet. 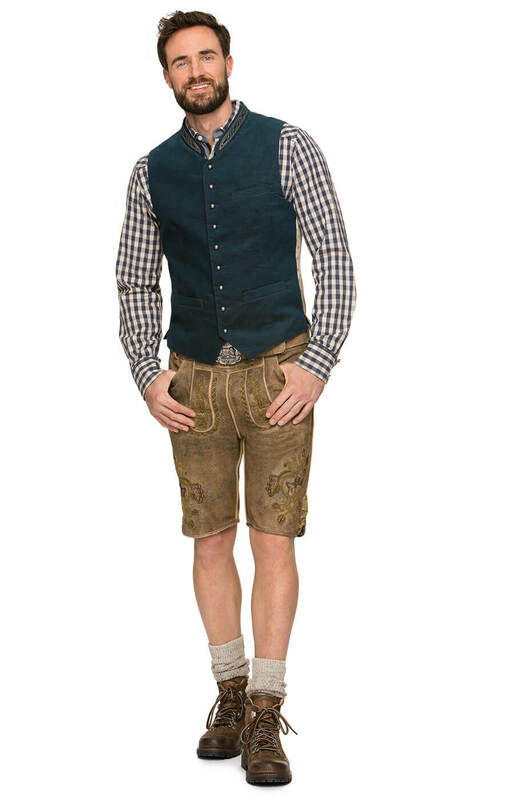 Einfach nur Bombe die Weste!! !